SCREEN IRELAND HAS announced plans to allocate enhanced funding and resources to TV drama production in Ireland over the coming year. The agency, which was rebranded from the Irish Film Board last year, today announces its plans for 2019, along with highlights from 2018. A total of €16.2 million in capital funding has been allocated to Screen Ireland for 2019, up from €14.2 million in 2018. In 2018, Screen Ireland invested €13.7 million across 50 projects, including 21 feature films, generating approximately €40 million return to the Irish exchequer, in terms of spending on local jobs and services. Looking at the upcoming year, Screen Ireland said that, given its considerable potential at home and abroad, it is planning to allocate enhanced funding and resources to TV drama production in the coming year. Enhanced funding will also be allocated to the Irish animation sector, delivering €6 million in funding over the next three years. Screen Ireland has also announced that it is its intention to develop funding criteria for productions based on the following guiding principles – equality, diversity and inclusion, careers and skills development, dignity in the workplace, and climate and sustainability. The agency added that further capacity is required, both from a talent and infrastructure perspective, in order to ensure that the industry is best-positioned to fulfil its full potential. “International interest in Ireland as a location is at an all-time high, and it is imperative that we increase our talent pool and studio production space to fully realise the potential for both inward production and indigenous production,” Screen Ireland said in a statement. “To this end, Screen Skills Ireland is working with regional stakeholders in Limerick, Galway, Cork and Kilkenny to develop a greater regional balance in film and animation skills across the country,” it said. Screen Ireland announced details of a diverse range of productions it will be supporting this year, including 20 feature films, six animations and 17 documentaries. 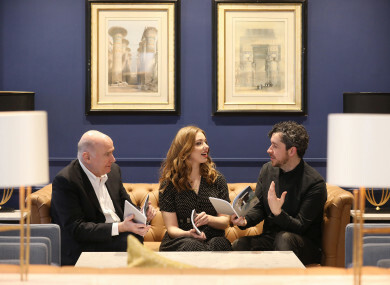 Looking back on 2018, chief executive of Screen Ireland James Hickey said: “2018 was a galvanising year for Irish film and screen content production. We saw real progress being made in our efforts to grow the strength and depth of the sector, creatively and economically. The coming year will present a diverse slate of new Irish films from new and established talent that is sure to delight, entertain and touch audiences both at home and abroad. Email “Screen Ireland announces big plans for 2019, with enhanced funding for TV dramas”. Feedback on “Screen Ireland announces big plans for 2019, with enhanced funding for TV dramas”.